On a short hike, we met this patient Arctic Ptarmigan sitting calmly on a rock. 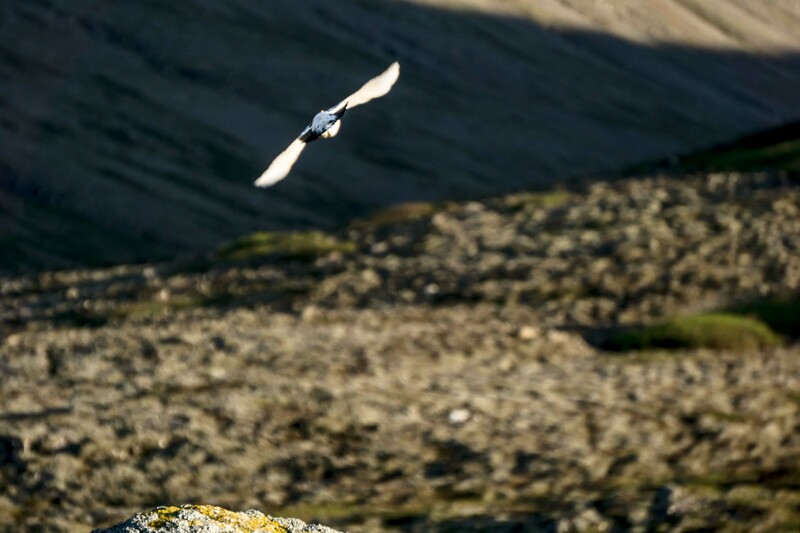 During this season the Ptarmigan is in a special phase. It is in fact, shifting colors. 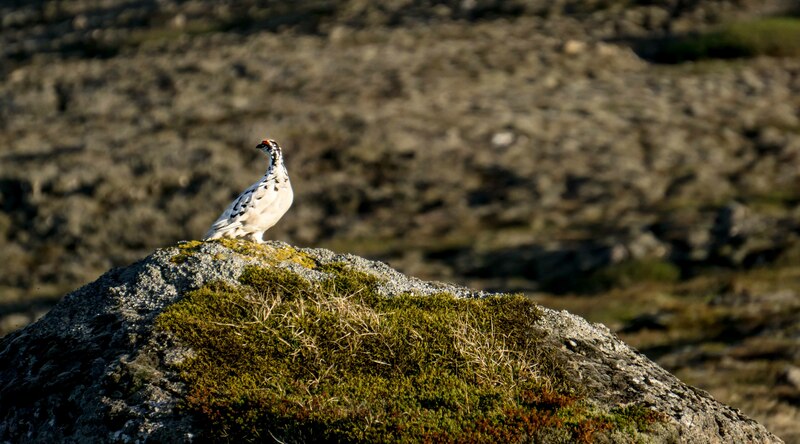 During wintertime, the Arctic Ptarmigan is completely white but during summertime, it is entirely brown. 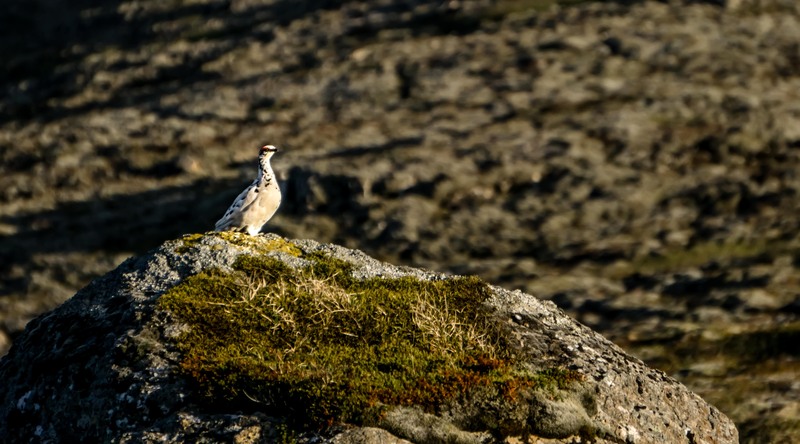 In spring and fall, the Ptarmigan changes its colors. This is to make the best possible camouflage for each season.